What’s Wrong with the Wobbegong? An interesting thing happened at my children’s school a few weeks ago. At lunchtime, one of the teachers fell and hurt her back very badly, so that an ambulance had to be called. In an entirely separate incident a toilet became blocked and overflowed in the school toilet block. Somehow, those two things became linked and when the school principal stood up at assembly at the end of the day and said “Kids, our teacher didn’t go to hospital because she drank brown water…”, the parents were thinking “What? !” It’s one example of how information, when ‘shared’ can become misconstrued. 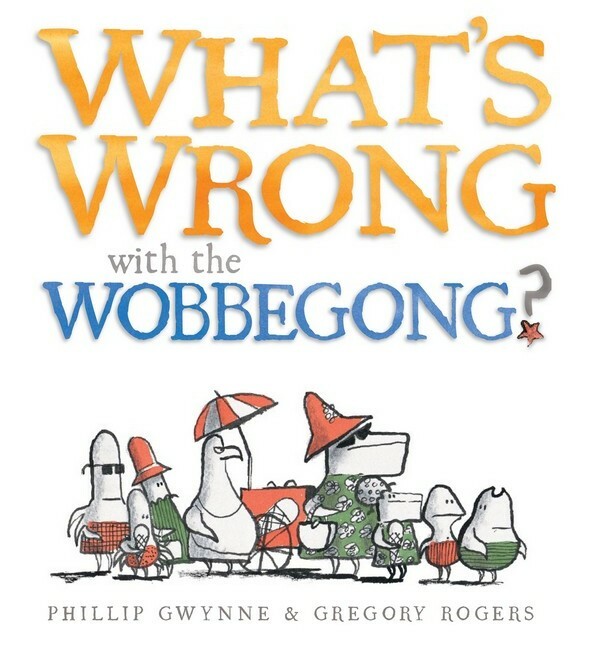 And that is the topic of Phillip Gwynne new book, What’s Wrong with the Wobbegong? What’s Wrong with the Wobbegong? is a simple and clever story about what can happen when people (or in this case, sea creatures) think too little and talk too much. It begins when a nosy little crab, clutching an ice cream, says to the stingray, “What’s wrong with the wobbegong? He doesn’t eat a thing.” The stingray agrees and adds his own observation, that the wobbegong “…just lies there on the sand.” One by one, the sea creatures tote up their list of observations about the wobbegong – obviously no one actually talks to the wobbegong who is lying happily in the sun. How will the wobbegong shut down this idle gossip? The ending is very clever (particularly as the wobbegong does indeed eat!). It’s a quirky cautionary tale and a gentle way to remind children that thoughtless comments are best kept to themselves and that sometimes things aren’t what they appear. The story is illustrated by Kate Greenaway medalist Gregory Rogers. 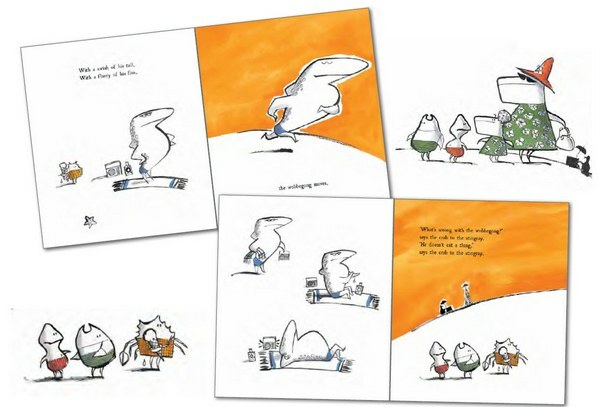 Rogers’ simple, uncluttered illustrations turn the various sea creatures into funny, expressive characters – there’s a hip octopus, a cranky looking seabird and a mumsy humpback whale but of course the star is the wobbegong – the puff-chested, unflappable hero. What’s Wrong with the Wobbegong? is suitable for children aged three years and over. It’s available online from Fishpond.